Hi, I’m Shelley from Krafty Bits and Bobs by Shelley. After living all over the world, we decided to make Coastal NC our home and have been settled here since 1998. After creating unique gifts for friends and family I decided to take the plunge into opening my own business about 4 years ago. I enjoy the challenge of creating personalized one of a kind Decorative Drinkware and Home items which include tumblers and wine glasses, signs and wall art. I also make T-shirt’s and recently started making onesie/tutu outfits for infants. I am currently dabbling in vegan earrings and bows with some other fun items in the mix. I have a Facebook store called @Krafty Bits and Bobs by Shelley and have been at the Salty Air Open Market for a few years and have found a home in the “Red Building”. I also have a selection of tumblers at The Boro Girls Boutique. Hi. My name is Kymm Lankford and my business is KreatedbyKymm. I am the sole creator but occasionally my husband Stu will help me sell my items. I make all kinds of ceramic fun! From child sized tea sets, vases, butter dishes, platters, baby shoes to one of a kind decorative items. I love to do custom work and especially love to personalize my creations. I can be found on FB at http://facebook.com/kreatedbykymm, Instagram at http://instagram.com/kreatedbykymm, and my online shop is http://madewithlovebykymm.etsy.com. I am a new vendor at the market and I am so excited to be a part of it! I live in the Star Hill area of Cape Carteret. We moved here when my husband retired from the Marine Corps coming up on 2 years ago. I have five grown children and 8 grandchildren and I also have two younger children who keep me busy everyday! Jacob is 6 and Madison is almost 2. I like to think they are keeping me younger. They are my full time *job* but if and when I have any free time I'm usually covered in clay. Creating is what I love to do. I am really looking forward to becoming a part of the Salty Air Open Market. I look forward to becoming a part of this community!. We specialize in Gluten Free, Dairy Free, Vegan, Keto baked goods cakes, cookies, pies and breads. We have been selling at Salty Air Open Market for the last 9 months. Breezes resides in Jacksonville NC after traveling all the way from Florida with a vision and a dream. We were not always a Gluten Free Bakery. We emerged from being a gluten loving adventure into gluten not being our friend. Our vision and dreams sat on the shelf until one day I realized that my passion was baking. How could I turn this passion into being a rocket scientist with learning how temperamental gluten free baking would be? After many failed attempts, almost ready to throw in the towel. I pushed forward and dragged out all of my beloved old tattered recipes and through trial and error Breezes became Breezes Delight Gluten Free. We pride ourselves on using only the finest ingredients, catering to our wonderful clients and their many food sensitivities allowing us all that one little bite of heaven. My name is Joy. I am the owner and soap artisan of A to Z essentials bath and body products. I pride myself in high quality, handcrafted products. I use high quality materials to create soaps and bath bombs. I also make activated charcoal coconut oil base toothpaste that is aluminum free. I make seasonal items as well as carry some gifts from coffee cups to tshirts. We are Dianne and Ron Faulkner, and we own and operate CRYSTAL COAST MINING! We have been at the Salty Air Open Market going on 4 years now. We have been inside the General Store, but this year we are moving to a spot outside on the East side of the Market. We will still offer the same material and services as we always have, at what we have been told are extremely reasonable prices. These items include rough stones, display pieces, collectors pieces, jewelry, and the one thing that started our whole adventure: Gemstone Mining! When we moved to the Raleigh area in 2001, where I worked as an Electrician, we went to the State Fair where they had a mining sluice set up, and Dianne was hooked. We moved to Hubert in approximately 2012, and we realized that to go mining, you had to drive approximately 5 hrs one way, and thought we should offer it at the coast. We started out doing birthday parties, and progressed every year till we are where we are today. During that process, we have retired, and we have learned to cut stones and set them in settings or wire wrap them! We also have a Facebook group, where we post new items, discounts, events and other news. You can also find a link to sign up for our newsletter. We try not to send more than 2 a month. You can also buy from the group. We work hard to find the best deals, and pass those deals along to you. Just go to www.facebook.com/groups/crystalcoastmining. Hi Everyone! My name is Tasha Carodine, Independent Consultant with Paparazzi Accessories. My goal is to Empower and Inspire all to be their very best self. One tool I use is Paparazzi Accessories. It’s FUN.FIVE DOLLAR.FASHIONS. My brand is: “EmpoweredbyDesign”;It’s God unlocking the uniqueness & enhancing the beauty from within you. By featuring you with the Paparazzi Accessories. It allows me to help build boldness and confidence. Jewelry doesn’t make you beautiful it just enhances what’s already there. Lil Johnny’s Crab Shack is a mobile food truck serving fried and grilled seafood. Some land lover items, chicken and hamburgers, are available too. Lil Johnny’s was created by John Oliveria, a Navy Veteran. He ran the truck for two years before he was transferred from North Carolina. Icehouse Waterfront Restaurant purchased the unit and kept the name in honor of his service to his country. Proudly, we have built on the name. We are able to accommodate any venue request, with the assistance of our restaurants: Icehouse Waterfront Restaurant (currently being rebuilt) and Boro Restaurant & Bar, both located in historical Downtown Swansboro. We can perform a formal wedding to an oyster roast. We carry a variety of seafood. From flounder to soft shell crabs. Special requests of Beer batter cod for the breweries we frequent. Using their special craft beers. Our specialty on the truck is our Signature Tacos. Flash fried seafood, or grilled blackened mahi with all the toppings are a hit with our fans. Our General Manager, Heidi Vos, was employed at both restaurants prior to taking over Lil Johnny’s. She worked every aspect of the restaurant business, from management to fry cook. Heidi is a strong leader, capable of working on her own, great with time management and trustworthy. These factors made her the perfect choice for running the truck. Which she has certainly mastered on her own! Anyone looking to book the truck can follow the truck on Facebook or Instagram: @Liljohnnyscrabshack. We offer natural and homemade treats for pets with attention to safety and quality control, as well as the health of your furry companion. Each treat is made with love! No preservatives, no artificial ingredients, quality ingredients, safe and flavorful. I am a veterinarian but have always loved to bake. I have always wanted to be able to provide healthy options for pets that are fresh and safe to consume. I am also a local military wife and have been in the area for over 10 years. My name is Barbie and my little business operates out of The Salty Bee. Just Dough it and more features my "Signature Fried Dough”, a sweet or savory treat of fried dough topped with powdered sugar, cinnamon-sugar or a marinara sauce and parmesan cheese. We also feature giant soft pretzels and boiled peanuts. This year we have added Sno Cones to our menu. We will have sugar free options. As always we have Ice Cold Beer and your favorite bottle of Wine. Draft beer coming soon. Another addition under The Salty Bee canopy is "Designs by Bella ". We specialize in baby items including beautiful handmade dresses, hats, booties, headbands and bows. We also have adult chunky hats all reasonably priced. What a perfect gift for a baby shower, Valentine's Day, Easter or everyday wear. I started out in search for that fresher cup of coffee. Almost three years later that thought and desire turned into the business slogan " For A Fresher Cup Of Coffee." What's In A Name? : From roasting my first several batches of coffee on an open fire in a cast iron skillet in the backyard, I was an Edison dozens of times until I got it down. I ended up with too much coffee (like there is such a thing?) So as I do with my garden, I started to share it with friends. A couple months later the phone started ringing. “So and so tried the coffee at so and so's house” that was a mutual friend, that I blessed with some of my experimental coffee. Not knowing the first thing about selling, nor running a business, I searched online to see what other small batch, artisan coffee roasters were pricing their coffee at. “Wow! That's some steep prizes!” I thought to myself. I wanted to roast gourmet coffee, that a blue collar worker like myself could enjoy, and afford. I told my wife Sara, "I think I have something here, what should I call it?" She replied, "How about Croatan Coffee?" With the Croatan National Forest surrounding 3/4 of my property where the Genesis happened, armed with a sharpie marker, on a brown paper bag filled with hand roasted coffee, the first bag was sold. August 2019 will be our 3rd year as a small business. With 15 stores we are providing to Piggly Wiggly, IGA, as well as several "mom & pop" stores in addition to online sales. We have filled orders to 23 states and to Israel! Tourism has brought this business success as well as local support, connecting with the name Croatan, and the label stating "Proudly Roasted In Maysville, NC” We roast on a fluid bed roaster, (clean heat). The business has extended to our Nitro Cold Brew Coffee Cart, that we set up at events and festivals, and our little kiosk coffee shop located in the General Store at The Salty Air Open Market in Cedar Point. We are truly thankful, and humbled by the growth, support, and customer base we have developed. With so many other options to choose from, we have no words to describe the feeling but humble and thankful. 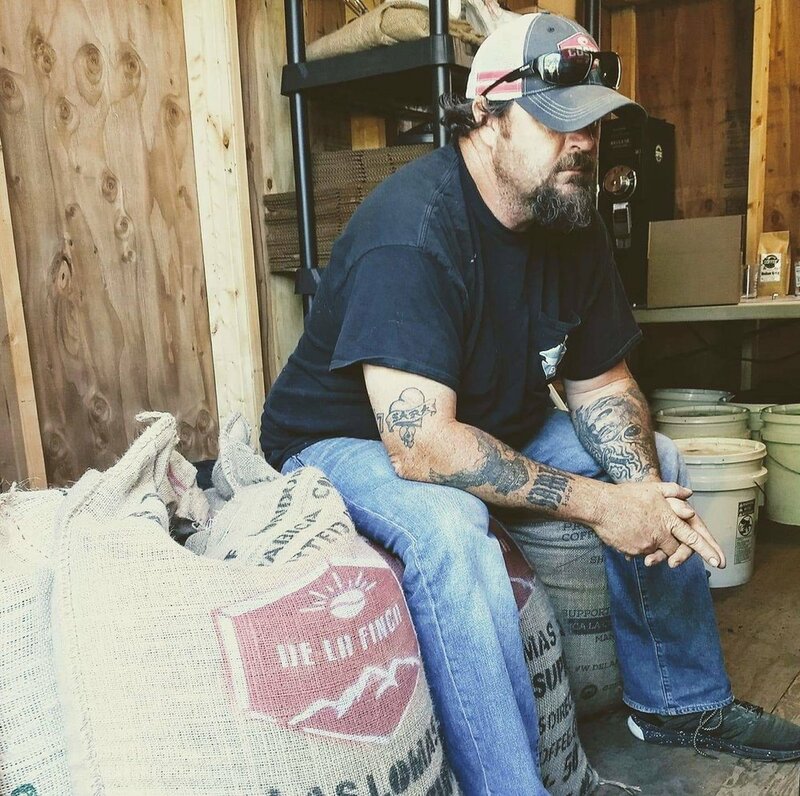 - Jason Pearce: Owner, Roast Master croatancoffee.com Croatan Coffee Roasting Company Inc. a veteran owned business. I am Trissie Anderson owner of Something Cool! Something Cool originated at the Crystal Coast of North Carolina. I offer homemade and/or farm fresh ice cream hand crafted in the North Carolina coastal area. The Something Cool mobile trailer can be found at festivals all over NC and can provide ice cream for any event. We can now also be found at Salty Air Open Market in Cedar Point. I use eco friendly utensils and containers and serve a unique variety of gourmet flavors. Two of my favorites are apple pie and chocolate strawberry! When they can my sons help scoop and serve ice cream which is “cool”!! 😊 We have a great time working festivals, making new friends and having fun. The best thing about ice cream is that it makes people smile and smiles warm the heart (and nothing’s better than a warm heart). We offer netted jars, bottles, turkshead coasters, bracelets, napkin rings, monkey fist key chains. We are new vendors to Salty Air Open Market this season. We also plan to sell some products at the Seaside gift shop in Harkers Island and the Davis General Store in Davis. My lovely wife, our daughter, and myself are living in Morehead City. We moved to coastal NC in 2016, after visiting the area several times and falling in love with the area. We traded the mountains of North GA for the waters of the Crystal Coast. My interest in the craft that I am doing goes back many years and has everything to do with my background as a sailor. Knot tying is an important skill for a sailor and it always had my interest because of the fact that most knots are practical but also can serve a decorative purpose. Currently my day time job is Pro Services Specialist at Lowe's in Morehead City. 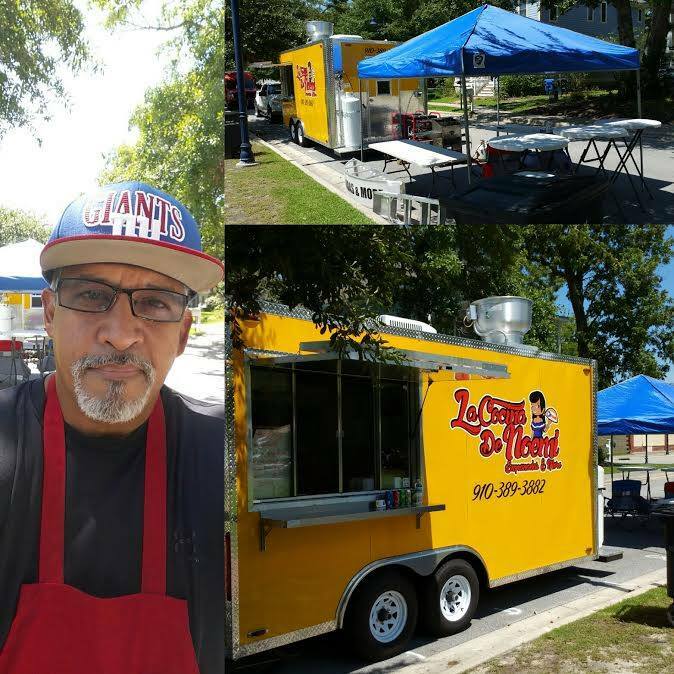 We are a mobile Latino style food truck based out of Jacksonville, specializing in empanadas(beef, beef and cheese, chicken bacon ranch), Cuban sandwiches, yellow rice with ham and olives.. and much more. We also cater! We have been serving at the Salty Air Open Market for the last three years. I am a former Marine and a retired law enforcement officer with Jacksonville Police Department. At Fun Fashions we offer Ginger Snap style Jewelry which is Snap jewelry with interchangeable snap buttons in hundreds of designs that go on a snap base. Snap bases come on bracelets, earrings, necklaces, rings, key chains, and many other items. We also have fresh water oysters with cultured pearls. All oysters are guaranteed to have a pearl in them. Fresh water oysters pearls are not perfectly round - they are oblong or tear dropped shaped pearls or you might get one that is almost round in shape. The price of our oysters depends on the cage you want and you will also receive a chain of your choice. Our chains are sterling silver or stainless steel. We have been a part of Salty Air Open Market for one year and are permanent vendors so you can find us there every weekend. We reside in Jacksonville, NC. I was a direct sales consultant barely making any money. One day my daughter who was also a consultant under me decided that we could order directly from manufacturers and skip the middle man to give our customers affordable fashion jewelry at a very affordable price. That is how Fun Fashions began. I have worked retail, as a cook, in manufacturing, customer service, direct sales, Avon, Princess House, Tupperware, Serendipity Styles, Pine Oak Farm, Sass & Frass. I am happily married to my best friend and soul mate whom I have known for 38 years. We will be celebrating our 6th anniversary on June 8th. A mother to 6 and grandmother to 7 plus all the other kids that have adopted us as family. I love them all. My passions are cooking, fishing and my jewelry business. 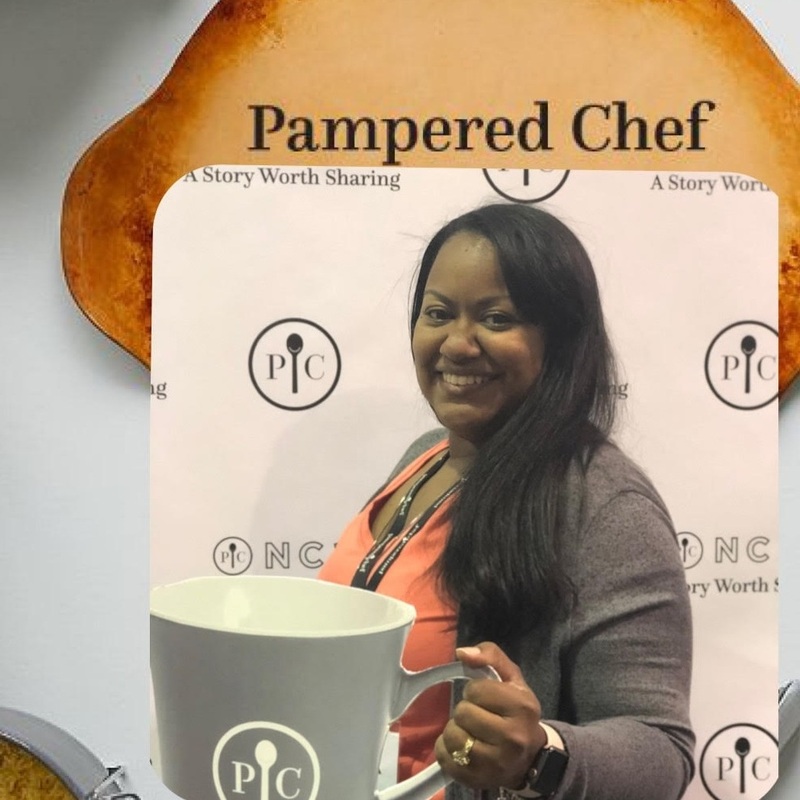 My name is Tawana Smith and I am an Independent Pampered Chef Consultant. Pampered Chef offers a line of multi-purpose, high-quality and unique kitchen products that are time-saving kitchen tools, cookware, cutlery, cookbooks, Stoneware, pantry products and even a kids line. So basically, I have everything you need to make your kitchen a happy and pampered! Each month there are free gifts with *purchase on orders and my hostess with the mostess make bank with FREE and discounted products! I have been a Salty Air Open Market vendor since the summer of 2018 and do vendor events throughout the Jacksonville surrounding area such as the Jacksonville Jamboree and events at the Foundry. I also do fundraisers, bridal registries/showers, online virtual Facebook shows, catalog & and of course in-home cooking shows with live demonstrations. As a military family we had been traveling all over the world and decided to retire here in NC. I now live in Richlands with my husband and our 3 children. I have been a consultant since 2007, and I absolutely love my career with Pampered Chef. Life is busy, but PC has allowed me to work and travel and make my own schedule, while spending time with my family. Hello my name is Margie and my husbands name is Tony. Together we are New Life Crafts and Designs. We have always loved to craft and create beautiful things. So in the spring of 2017 we decided to make it a business, and New Life Crafts and Designs began its journey. We make a variety of things such as jewelry, watercolor paintings, fluid art, woodworking projects and much more. Our booth always has something new. Every week we try to put forth different and unique pieces. We pride ourselves in being able to say it is a one of a kind piece. In the past we have participated in the Jacksonville Farmers Market, Polynesian Fest in Jacksonville, and Liberty Festival in Holly Ridge. This year we decided to make the Salty Air Open Market our Home. We will also be at different events and fairs. Our plans include opening an online store. We are also available for commissioned art, jewelry and woodworking pieces. If you have a special piece of jewelry that needs to be revamped we can help. If you’re at the beach and find sea glass or shells that you love we can make it into a wearable piece of art for you. If you need a painting in certain colors or style we are here. Just email us at mars_r@ymail.com or come out to see us so we can help.